Could I Have Bipolar Disorder? Bipolar disorder is a chronic, yet medically manageable disorder that causes a person’s mood and behavior to change dramatically, in an uncontrolled fashion, which can happen either immediately or over time. According to the National Institute of Mental Health (NIMH), bipolar disorder usually develops in a person’s younger adult years or in their late teens and appears to be passed down genetically (though not necessarily). There are different types of bipolar disorders. Each is unique, having its own symptoms and treatment. 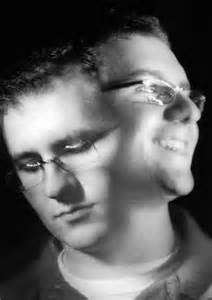 Bipolar 1 Disorder – People with Bipolar 1 Disorder have frequent and long-lasting manic or mixed episodes. Episodes can typically last two weeks or more and usually require hospitalization. 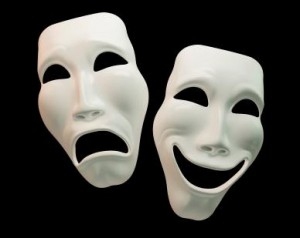 Bipolar 2 Disorder – People who suffer from Bipolar 2 Disorder have both hypomanic and depressive episodic patterns but not full blown episodes. Bipolar NOS (Not Otherwise Specified) Disorder – People are diagnosed with this type of bipolar disorder when symptoms of bipolar disorder are present but do not meet specific criteria for diagnostic for Bipolar 1 Disorder or Bipolar 2 Disorder. Cyclothymic Disorder (Cyclothymia) – Those that have this disorder usually suffer some episodes of hypomania and mild depression for a period of at least two years, but do not meet any diagnostic requirements of other bipolar disorders. Rapid-Cycling Bipolar Disorder – A person with this disorder has four or more bipolar episodes within one year. These episodes can include mania, hypomania, severe depression, or a mix of any. When seeking diagnosis for possible bipolar disorder, a physical examination and lab tests will most likely be done in order to rule out other possible health factors which may be contributing to certain mood problems, such as a thyroid condition. Once cleared of other possible health factors, a mental health evaluation will be given. These evaluation tests give health personnel information which helps them determine if a patient may have a form of Bipolar Disorder. Bipolar Spectrum Diagnostic Scale (BSDS). This bipolar disorder test is a two part test. The first part of this bipolar test is a questionnaire, consisting of 19 sentences in which the patient decides whether they are experiencing those feelings or behaviors. The second part of this test allows the patient to give the degree to which he or she feels each of the 19 previous sentences are relevant to his or her feelings or behaviors. This test uses a point scale in order to diagnose bipolar disorder. This test makes for a good bipolar 2 test because it allows for a range of feelings or behaviors to be diagnosed. Mood Disorder Questionnaire (MDQ). The Mood Disorder Questionnaire is a self-screening bipolar test which consists of yes or no questions regarding feelings and behaviors. This test is also a good bipolar 2 test because of the range in which the questions are asked. TIP: If you are wondering if you may have bipolar disorder and wish to do a self-screening bipolar test, please go to the following website, take the test, and share your results with your doctor. Server responsed at: 04/18/2019 3:19 p.m.